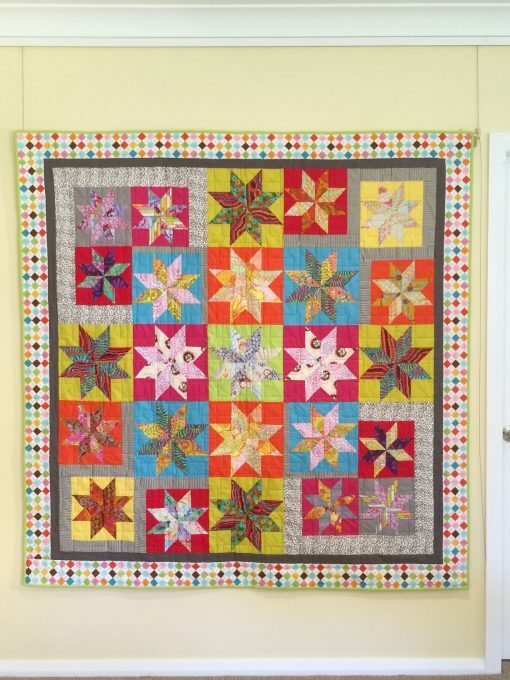 I made this quilt using a new ruler to cut the diamond patches in the star blocks. 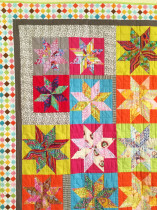 I started with the centre 5 blocks and it sort of “grew” from there into this bright funky star quilt, with black and white geometric fabrics, and a very colourful plaid for the outside border. 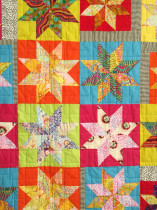 I love the way the colours all come together in a symmetrical way, which brings some order to the disorder. 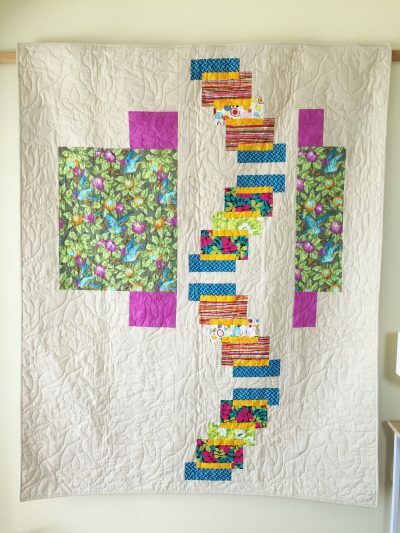 This quilt would be perfect for someone who loves colour and design which is quite “in your face”, there is nothing sedate about this quilt which is why I love it. 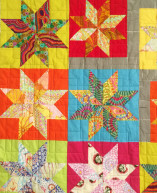 It is a good size as a topper for a bed, or on the lounge snuggled up reading a book or the like…. 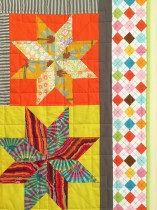 The bright star fabrics are predominantly Kaffe Fassett fabrics, with plain Kona Solids. 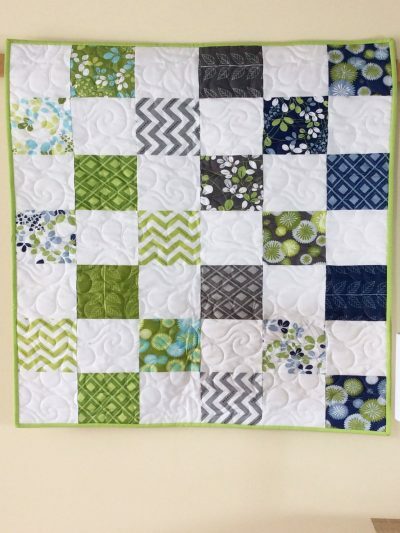 The back is white with a little black spiral, and the outside binding is the lime green used in a couple of the blocks on the front of the quilt. 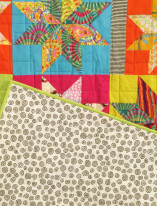 The quilting design is a straight line geometric design, and is machine quilted using a blending pale blue-grey thread.